From when your goods are loaded at the port to the departure of the cargo, we ensure a smooth running of the entire shipping process. The services offered under our shipping agency are broken down into the Pre Arrival, In Port and Post Departure stages. Port information – You will receive all the information you need about the facilities available for loading and unloading cargo at the port, as well as the vessel and crew. Port of call planning - A forward plan of where and when each vessel call will be handled will be created before the departure of each cargo. Cargo operation planning – We ensure the safe operation of bulk carriers by adequately preparing vessels for cargo stowage through proper operation planning. Port/berth reservation – To avoid delays in berthing vessels, the port/ berth will be reserved in advance which will ensure that your goods arrive in time. Harbour / pilot / tug boat coordination – We take care of all communications and logistics between the harbour, pilot and tug boat for a seamless process. Berthing/ unberthing operations – Adequate preparation will be made for the ship carrying your goods to be manoeuvred at the port and room will be made to accommodate the ship while cargo is being loaded and unloaded. Customs, immigration and quarantine formalities (known as CIQ Clearance) – All the necessary documentation and process required by Customs and Immigration will be handled. Cargo loading and discharging – This involves the loading of the vessel and the safe deployment to sea. Berthing / unberthing operations – The vessels will be accommodated to allow for the safe loading and unloading of cargo. Arrival formalities clearance – All processes required to ensure that your goods are cleared will be taken care of. Cargo operations (loading / discharging) – The cargo will be offloaded through the use of efficient staff and best practices. Cargo quantity checking/ surveying – The cargo will be surveyed and quantity of goods will be documented to ensure that none get missing. Cargo supervision by experienced and well-trained cargo superintendents – Your cargo will be in good hands as it will be supervised by experienced and well-trained cargo superintendents. Tally supervision by professional team – Our team will ensure that the number or quantity of goods to be shipped or received are as described in shipping documents such as the bill of lading, letter of credit, mate’s receipt, or other documents. Our cargo tally inspections also confirm that materials have been packed, marked and labelled accurately. 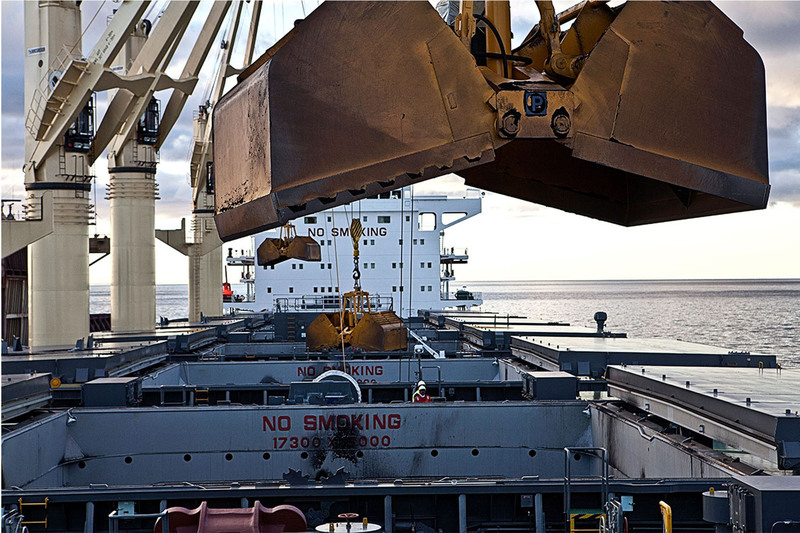 Stevedoring / lashing / securing – Cargo will be safely loaded and unloaded by our efficient team. Cargo documents support: statement of facts, mate’s receipt, stowage plan, bills of lading, delivery order – We will take away the headache of securing all the necessary cargo documents that you will need. Customs, immigration and quarantine formalities (known as CIQ Clearance) - All the necessary documentation and process required by Customs and Immigration will be provided. Fresh water, fuel/ bunker supply – We will ensure that the ship has adequate supply of fuel and water in the right quantity. Ships’ supply services: stores & provisions, including ships’ spare in transit – Provision will be made for necessary spare supply to ensure a smooth journey for the ship. Service to ship’s master / cash to master - Ship's masters are in charge of the ship, its crew and any passengers or cargo it is carrying. We will ensure proper coordination with them. Departure formalities clearance – All formalities required for the cargo to be cleared and leave the port will be taken care of by our team. Port disbursement account summary and settling in timely manner – An account will be rendered for all sums paid out in respect of the ship's call at the port such as pilotage, towage, any cash advance to the master, supply of provisions and stores and the agency fee. Cargo document support to owner/ charterer – All cargo documents required for inbound shipments will be provided to you. Nigeria Navy deploy highly supersonic maritime speed boat to counter piracy activities..
Join our social media handle for update on the maritime information in Nigeria and sub-sahara africa. .